In a move that could bring cheer to rail wagon makers, the railway ministrywill tweak tendering norms for wagon procurement that will provide clarity on the demand from the national transporter for the next five years. The ministry has decided to give wagon contracts in bulk with demand of five years with bucket filling. It will conduct reverse e-auction and intends to save 20-25% in cost, a top rail ministry official said. 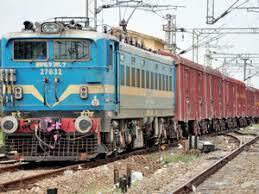 The Indian Railways procures 12,000 wagons per annum, costing around Rs 3,500 crore. “Instead of going for piece-meal tenders, we will go for bulk tenders where the lowest bidder would be given an option to provide for railway’s future demands at the same price. This will give vendors a future outlook and they will benefit from economies of scale along with offering the lowest price to us,” the official said. During an Infrastructure Roundtable in January, various rail vendors, including Titagarh Wagons Ltd, had sought more clarity on future rail contracts from Railway Board chairman Ashwani Lohani. Companies such as Texmaco Rail and Engineering, Titagarh Wagons, Jindal Rail and Jupiter Wagons, which are the railway’s largest wagon providers, are likely to benefit from this decision. The ministry has also decided to carry out all railway procurement and contracts under the reverse auction route through electronic mode. The railways has been following a ‘two packets system of tendering’ for procurement, a system considered less transparent by experts. Under this system, tender quotations are submitted in two sealed envelopes, one containing the technical and commercial offers and the other the financial bids. Such a physical system of bidding has loopholes and potential for rigging, experts say. The same tendering system will also be followed for other bulk contracts that the railways intends to give, including the upcoming signalling overhauling contract of the country’s entire rail route length of 120,000 km and the contracts for electrification, elevators at stations and CCTVs.